NEW YORK, Sept 12 (APP): American-Muslims celebrated Eid-ul-Azha on Monday as they offered prayers and exchanged greetings on the occasion that underlines the message of sacrifice, mutual care, patience and generosity. Pakistani-Americans living in the New York region joined their fellow Muslims in celebrating the festive occasion. In a special message to mark the occasion, United Nations Secretary-General said, “Eid al-Adha is a celebration of sacrifice for the common good, family and community, and compassion and solidarity with the least amongst us. In their sermons, the Imams and Khateeb prayed for peace in conflict-torn Islamic countries and urged the need to foster values of brotherhood, love and peaceful coexistence. They also prayed for unity in the Muslim world to confront the many challenges it faces. 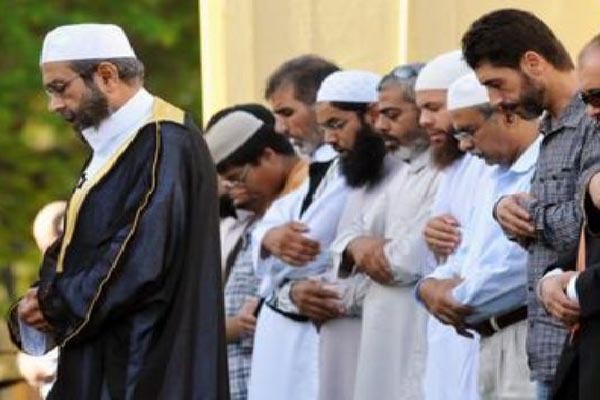 In the New York region with the largest concentration of Muslims in the United States, prayers were offered at a number of places, with the main gathering at Manhattan Islamic Centre where diplomats accredited to the United Nations and the city government were among those who participated.